Simple viewer for mbox files. Is there a better alternative to MBox Office? 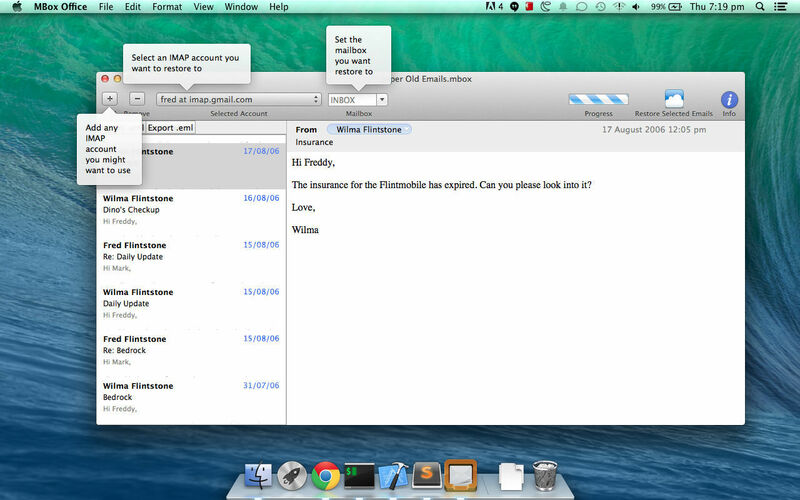 Is MBox Office really the best app in Email category? Will MBox Office work good on macOS 10.13.4? MBox Office is a simple mbox viewer. 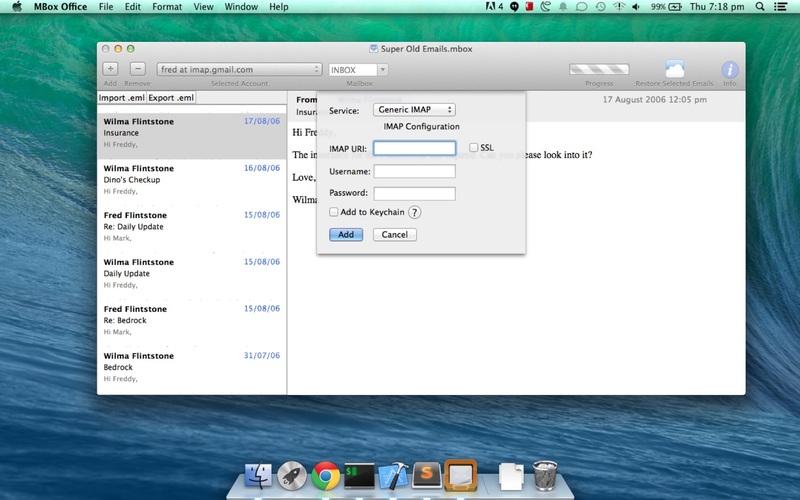 It lets you restore your archived .mbox archives to any IMAP-supported email provider. You should be able to open mbox files using File -> Open. Batch email restore--select all emails and click on "Restore Selected Emails"
MBox Office needs a review. Be the first to review this app and get the discussion started! 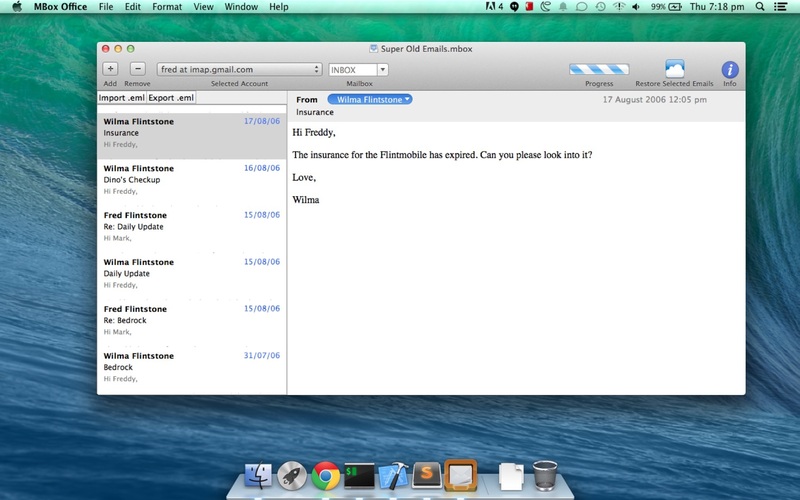 You import individual emails in .eml format to your existing .mbox file. You can use all the above mentioned features with it.